40,800 people aged 65 or over died in England and Wales last year because of the cold, more than double the number of deaths than the previous year. Exposure to the cold can have a devastating impact on the health of older people. It increases the incidence of heart attacks, strokes, respiratory disease, pneumonia and depression, and exacerbates arthritis and increases the risk of falls and injuries. Consequently, many more older people are admitted to hospital and on average around 25,000 older people die as a result of cold weather in the UK, equating to more than 200 avoidable deaths every day. Age UK is the country’s largest charity dedicated to helping everyone make the most of later life. BCBN’s grant of £2,991 will help fund Age UK’s Winter Warmth programme, delivering warm food and clothes, fleece, blankets, electric heaters, cold alarm alerts and a grant to an older person to help them with fuel poverty. BCBN has also awarded Muslim Aid, a leading British Muslim relief and development agency seeking to tackle poverty in partnership with The HEET project, formed by local residents wanting to see more community action to tackle the problems of climate change and fuel poverty. 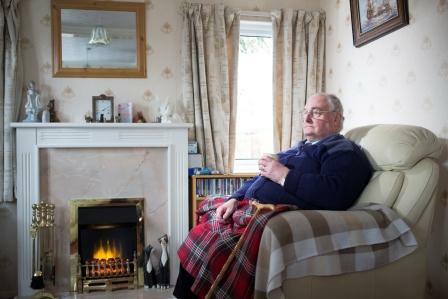 Research has shown that these excess winter deaths are preventable and can be reduced if the elderly could afford to adopt a few simple adjustments to make their houses more energy efficient and warmer. 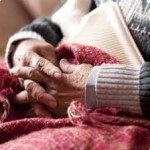 BCBN’s donation of £2,995.36 will help to reduce the impact of winter on the health of 194 vulnerable and fuel poor elderly people, in Enfield and Waltham Forest, through the installation of 388 draught excluders and 970 radiator reflectors. BCBN’s grant will enable older people across England to live at home warmly and safely during the winter months, helping to reduce poor health and unnecessary hospital admissions. The HEET Project in partnership with the Handyperson Scheme London Borough of Redbridge assists older, vulnerable and disabled residents with odd jobs and small-scale repairs around the home. They are also commissioned by the Police and Fire Service to carry out security improvements and fire safety checks for their customer group. In its 13 years of existence, over 5,569 vulnerable residents of Waltham Forest, Redbridge, Enfield and Haringey have benefitted from the project’s services.